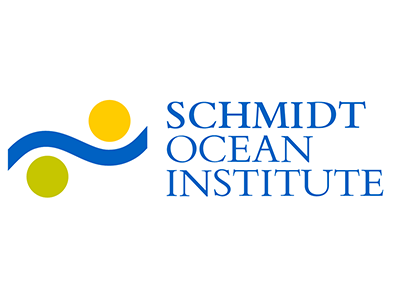 The Schmidt Ocean Institute is accepting Expressions of Interest for projects centering around the advancement of coral reef conservation. Any geographic regions can be considered for projects that do not require the use of R/V Falkor. For the initiatives requiring the use of R/V Falkor, feel free to request any operational site location throughout the global ocean, noting that R/V Falkor is not a Polar Class vessel and is therefore generally unable to support operations in latitudes higher than 60° North or South. The regions where R/V Falkor will operate in 2019 and 2020 have already been defined, and target areas for 2021 will be selected to accommodate the top ranking Expressions of Interest that Schmidt Ocean Institute receives in response to this call. If your project is flexible with regards to geographical regions where shipboard testing and trials can take place, please be sure to state that in your Expression of Interest. for advancing the conservation of coral reefs and related ecosystems? How much will the proposed initiative improve upon the state of the art? Is this project likely to stimulate broad adoption of any resulting innovations? What is the quality of the proposed project plan? Is it sensible and appropriate to the identified project goals? How well does it address the project goals? Are they efficient, comprehensive, and with the project goals and plan? Are they in the best interests of the environment and society? How well will the project leverage the available and anticipated new data? How effectively and timely will the progress and outcomes of this project be interpreted and communicated to the public? Are any new methods of data and knowledge interpretation being proposed as part of the communications and outreach program? Are they likely to have a beneficial effect? It is recommended that before writing your Expression of Interest, you familiarize yourself with the wide range of operational, technological, analytical, and informational support and services available from Schmidt Ocean Institute. Submissions must be done by the 28th of December 2018 in order to be considered. For more information please visit the Schmidt Ocean Institute website.